The mic picked up two awards in its first two reviews: a 10/10 Excellence award from Music Tech Magazine and the Editor's Choice award from Pro Tools Expert, and won the Highly Commended award from Trusted Music Stores. MERCURY is also shortlisted for three other awards: MusicRadar's Best In Tech awards, Sound On Sound magazine's 2018 Gear Awards and Music Tech magazine's Gear of the Year awards. Wish us luck! Taking things a step on from our multi-award-winning ARIA, the Sontronics MERCURY employs the highest-grade components (most of which have less than 1% tolerance, unheard of for a microphone at this or any other price) and a hand-selected and tested, European-made ECC81/12AT7 vacuum tube, all of which result in absolutely impeccable results, whatever application you're using it for. 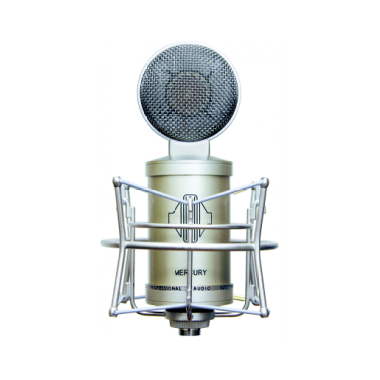 The mic also has pad (0, -10dB) and low-cut filter (linear, 75Hz) controls and a professional power supply with medical-grade interference filter, and it boasts incredibly low self-noise for a valve microphone (less than 12dB, A-weighted), making this a must-have microphone for any studio serious about achieving the best quality results. 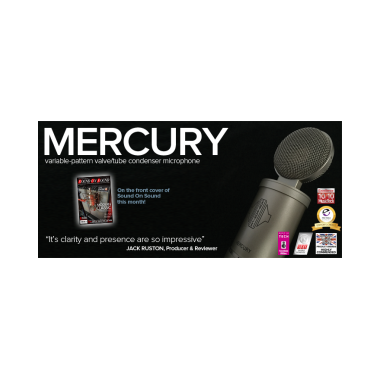 "We've already had some amazing feedback from top artists who loved working with the prototype so much that the bought the real thing, and MERCURY is regularly being compared to vintage valve microphones that cost up to ten times the price. Every studio should have one!" 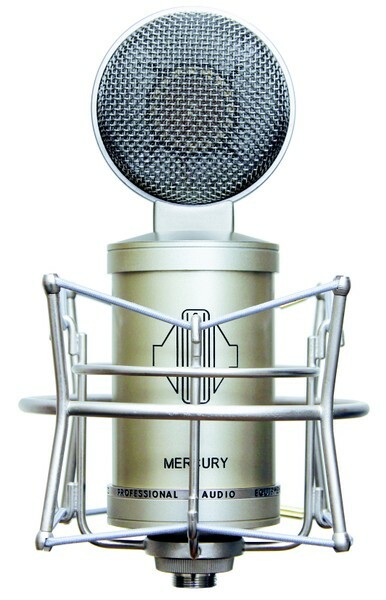 Like all Sontronics microphones, MERCURY is covered by our unique LIFETIME WARRANTY.